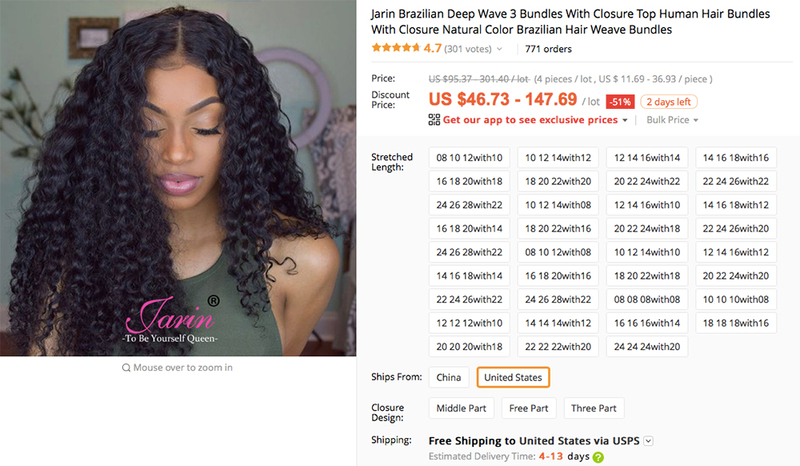 AliExpress Jarin Hair Company (store link: https://jarinhair.aliexpress.com/store/3909042) is a new AliExpress hair vendor since April 2018 but grows very fast for its high quality hair products and affordable prices. Jarin hair brand was built on 2012 by a Xuchang guy Jack Wu. They officially said they’re one of big hair suppliers of Rebecca hair company so they only adopt high quality and healthy virgin human hair as raw materials. Jack Wu often make business travels to Brazil, India, etc countries to discover new hair sources. Karin Hair Company’s main products include Brazilian hair, Indian hair, Peruvian hair, Malaysian hair, Mongolian hair and Cambodian hair. 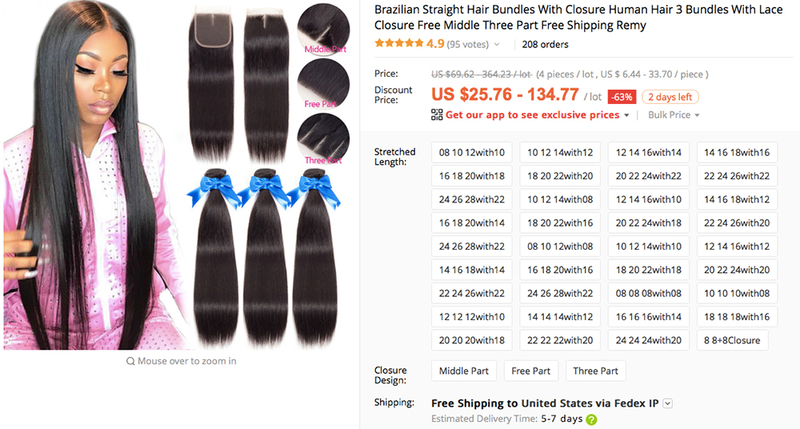 They mainly human hair bundles, lace closures, lace frontals and some lace front wigs. 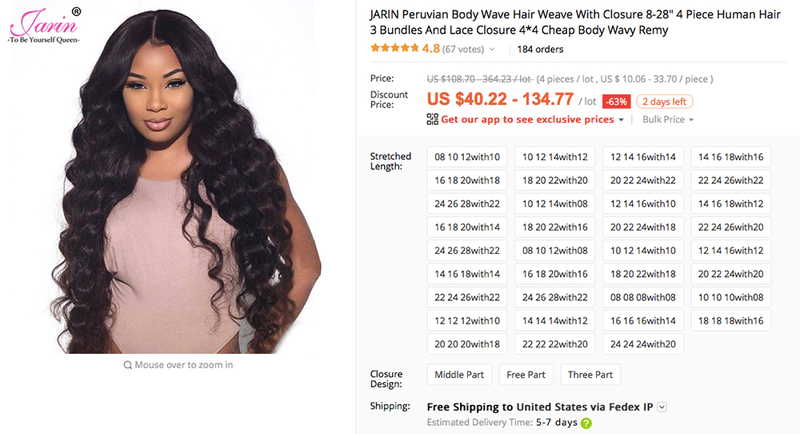 Although Jarin hair company sells hair on AliExpress just since April 2018, they can sell more than 1500 human hair products per month now. 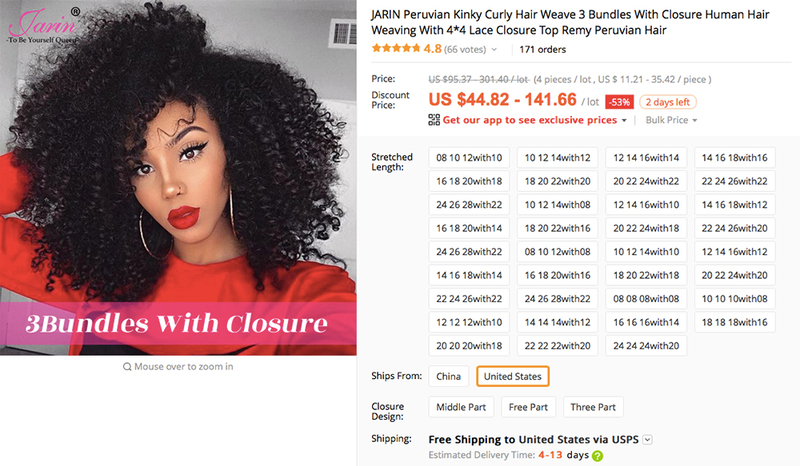 Their customer ratings about Hair Quality, Seller Communication and Shipping Speed are all higher than other AliExpress sellers.